Prime grade beef is not the only product Travis Graves is capable of producing on his 300-acre cattle ranch in southern Alamance County. 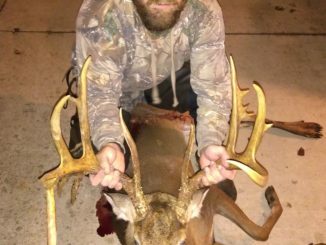 On Nov. 3, Graves took down a massive 11-pointer with his black powder rifle. And it’s not the only big buck that has come off this stand either. 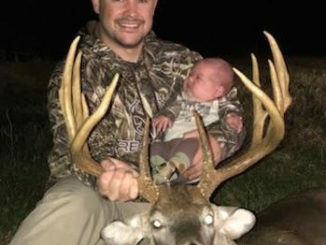 George Mattison of Trinity, N.C. was hunting with his 4-year-old son from a double ladder stand on Nov. 17 in Forsyth County when he killed the biggest buck he’s ever seen. 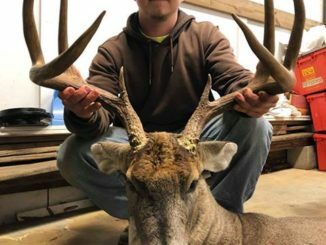 The 18-point buck had four drop tines on the right side of its antlers, including one that was over 8 inches long. 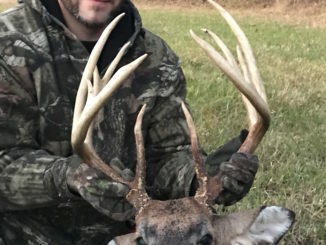 Big 10-point goes down in Anson County, N.C.
Phillip McBryde of Matthews, N.C. celebrated Veterans Day with a hunting trip with his uncle in Anson County on the morning of Nov. 11. 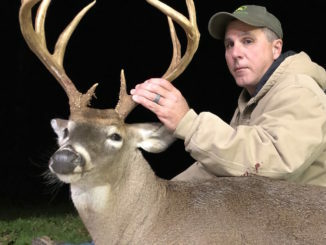 And he killed the biggest buck of his life when a 10-pointer with a wild-looking rack showed up and offered him a shot after following a doe in a loop that took it four times around McBryde. 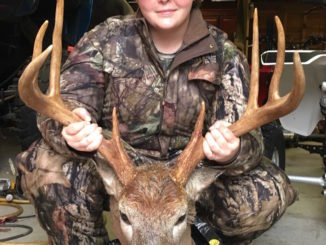 When Karley Davidson of Carthage, N.C. was 16-years-old, she killed a big 10-point buck in Randolph County that landed her in the pages of Carolina Sportsman Magazine. 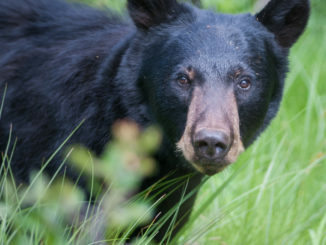 Then she went on a four-year drought without killing another deer at all. 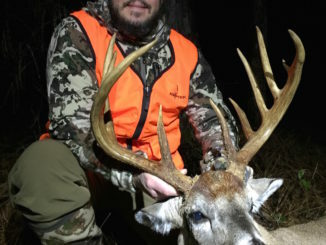 But she ended the drought on Nov. 13 with an even bigger buck — this time from Moore County. 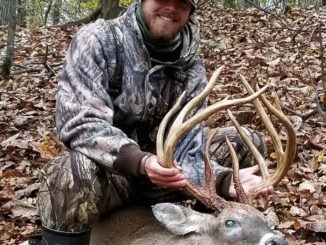 Matt Isley of Rockingham County killed the biggest deer of his life on Nov. 8 when the 12-point buck he’d been observing on trail cameras showed up about 8:30 a.m. 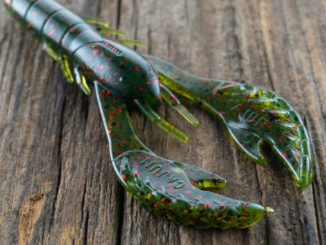 The deer has been green-scored at over 142 inches. Travis Manuel won an award at the Dixie Deer Classic in 2010 for a 147 6/8-inch buck. 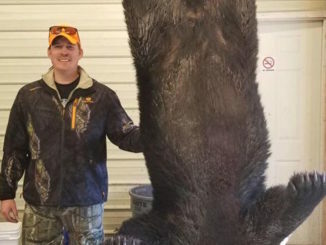 Unfortunately, it was under the non-hunting category for a beast that he actually did shoot, but wasn’t able to find until running across it 6 months later. 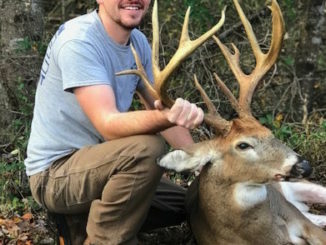 And he’ll likely attend the 2019 Dixie Deer Classic with a 147-inch (green-score) buck he killed on Nov. 16 while hunting with his muzzleloader in Forsyth County.